The next release of Abiquo’s enterprise cloud management software, to be announced next week, will integrate with the popular Chef configuration management tool and sport a customizable user interface. Chef provides a popular easy-to-use framework to help businesses automate their IT infrastructure. Abiquo 2.0 also will support what it calls an “unlimited” number of pricing models. Users can choose the currency; the charging period (minute, hour, day, week, month, quarter, year); the minimum charging unit; the cost per resource unit (CPU cores, memory, disk space, storage tiers, VLANs, images etc. ); minimum charge per period, and so on. Because all of this is so granular and trackable, it’s easy to do very detailed chargeback, show-back or even show-forward calculations. Chargeback lets the resource owner charge users based on their actual consumption rather than for a fixed amount of capacity. Show-back just shows them what’s being used. 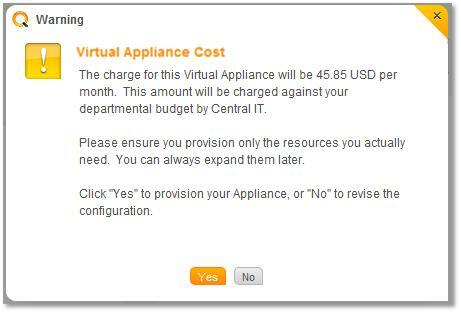 Show-forward tells them how much they would pay for each virtual appliance before it’s deployed. Big businesses thinking about migrating some or all of their workloads to the cloud want to make sure they’ll have the same sorts of management, configuration, and tracking tools they’re accustomed to in the on-premises computing world. Abiquo, Platform Computing (now part of IBM (s IBM) ), and DynamicOps are among the companies playing in the enterprise cloud management space, along with open-source options such as OpenStack, Eucalyptus and Cloud.com (now part of Citrix (s ctxs) ). Bernd Harzog, principal analyst for The Virtualization Practice, said Abiquo and its competitors are moving fast to give business customers what they need to make cloud computing more attractive. “What we have here is some very rapid maturation on some of these enterprise cloud platforms. Companies like Platform Computing and DynamicOps and Abiquo are on the forefront of that,” he said. Cloud computing definitely has a cost model many companies want to explore. But they still need to be convinced that the management tools are in place to provide some level of accountability before many will make the jump.